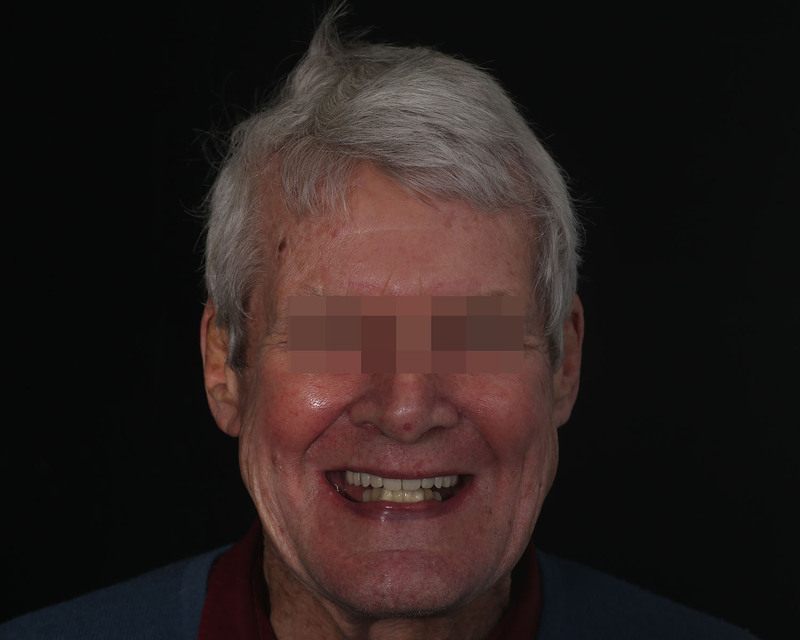 The all on 4 dental implant treatment is a popular and well documented treatment option for patients who have problems with multiple teeth affected by gum disease or for patients who have already lost multiple/all of their teeth. 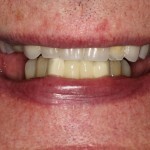 The all on 4 dental implant solution was pioneered by Dr Malo from Lisbon, Portugal. 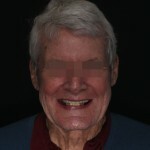 Despite this treatment having been carried out years before with different protocols, it was Dr Malo that carried out numerous scientific studies to prove the success of this treatment. 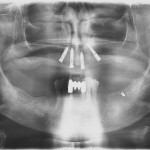 The design of the implant and its characteristics of anchorage were patented by the Portuguese surgeon. 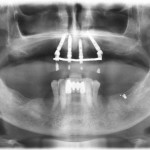 The protocol was improved and perfected over the years and it is now today very well recognized around the world. 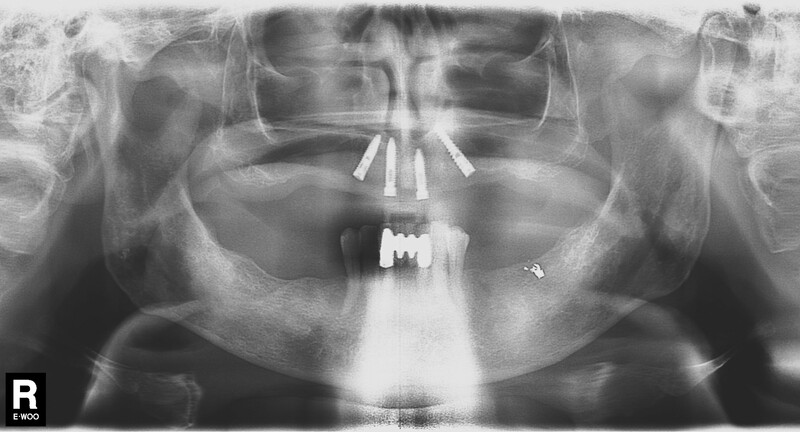 As with all treatments that are carried out, there are always chances and risks that may develop during the course of treatment. 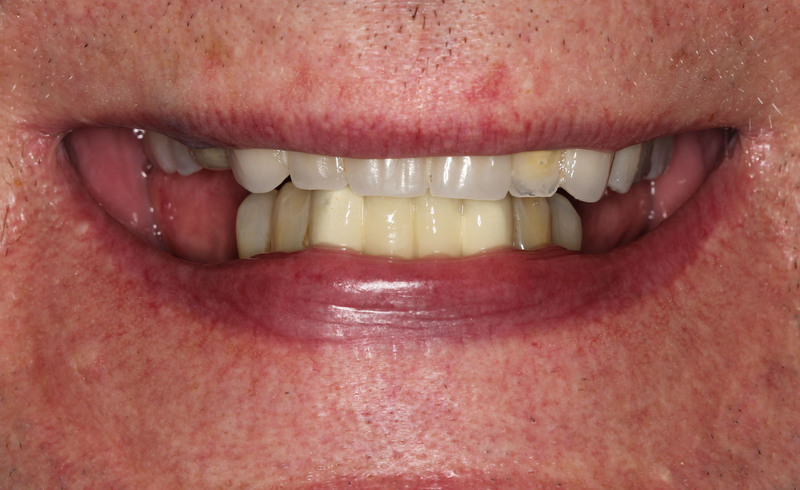 The all on 4 treatment is a highly successful treatment option but it is difficult to obtain and exact success rate as each patient and treatment is very different from the other. 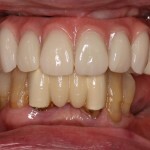 Many patients that undergo this treatment have lost their teeth due to gum disease and or smoking (and other factors ). 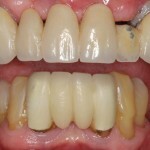 In many cases the presence of gum disease and affect the success of implant treatment and in cases where patients are unable to stop smoking it can also affect the success of the treatment. 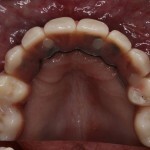 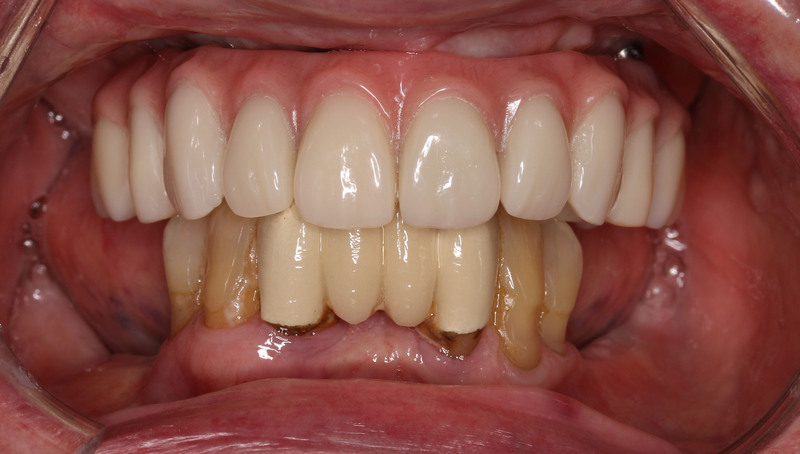 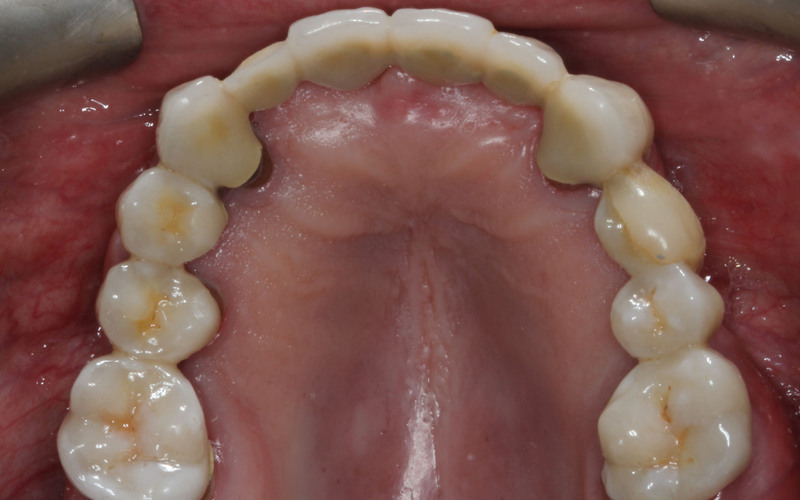 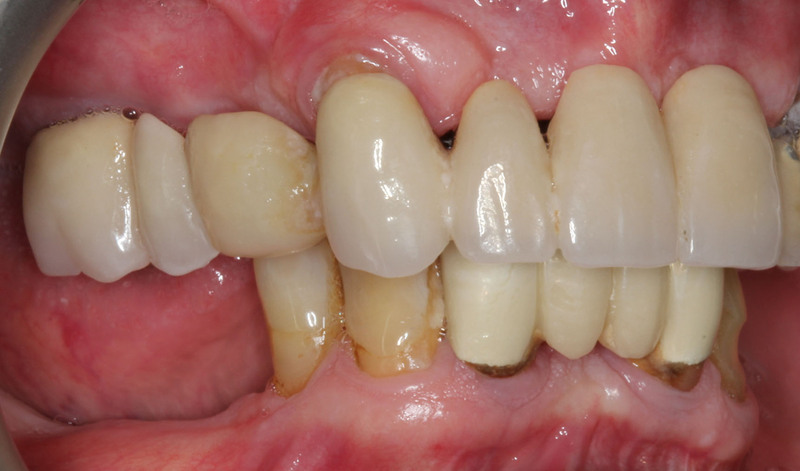 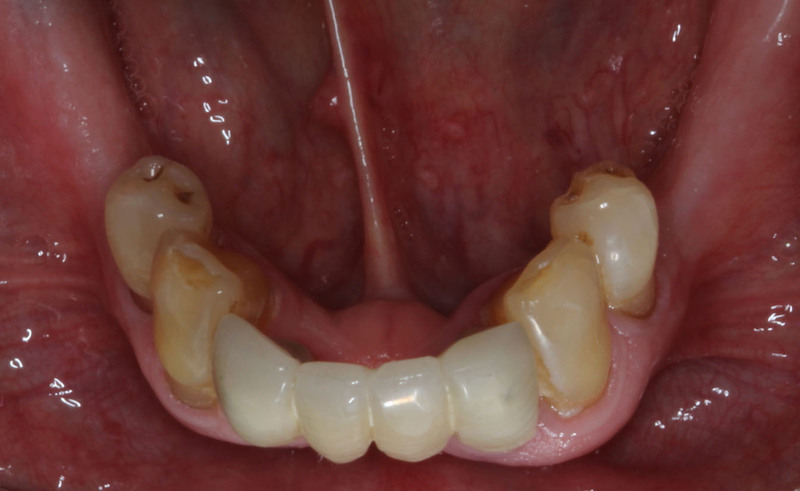 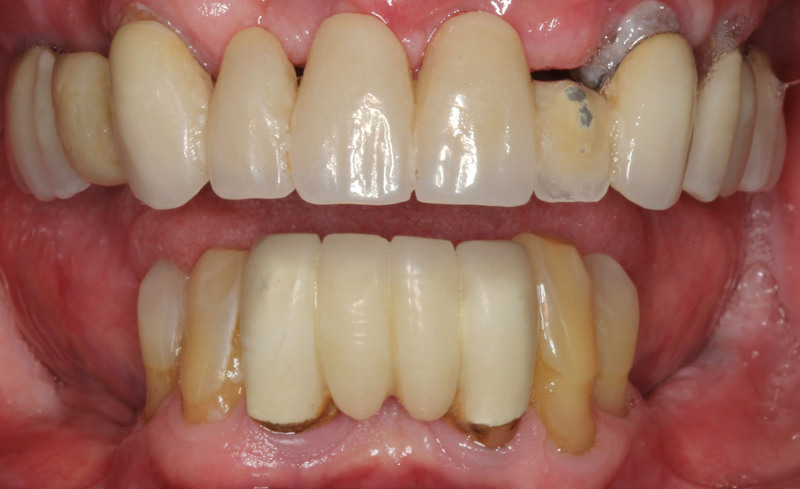 We discuss a case today that a patient came to see us requesting a solution for failing upper teeth. 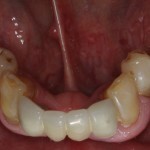 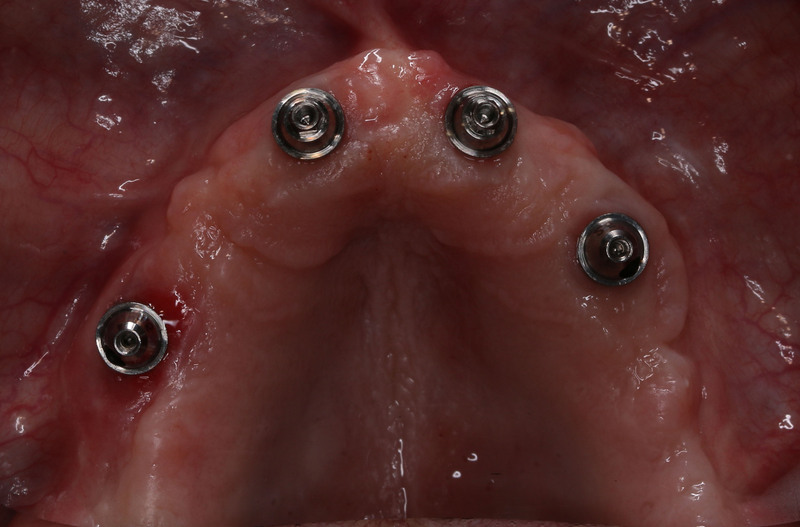 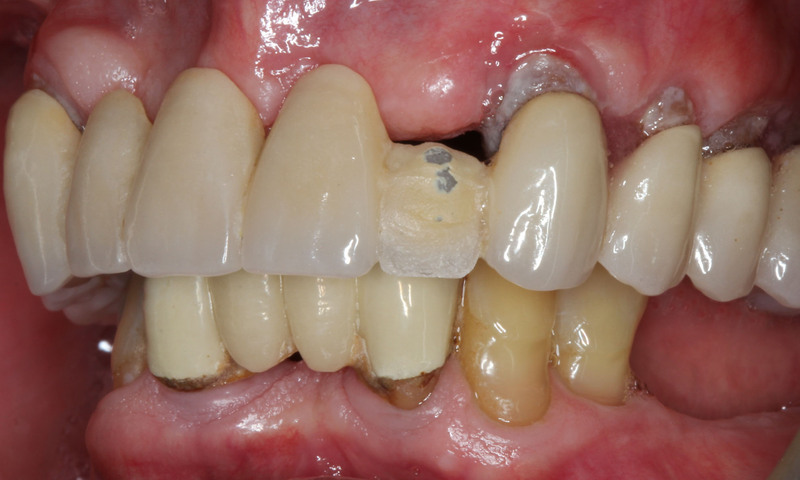 The patient had undergone complex bridge work over 10 years before. 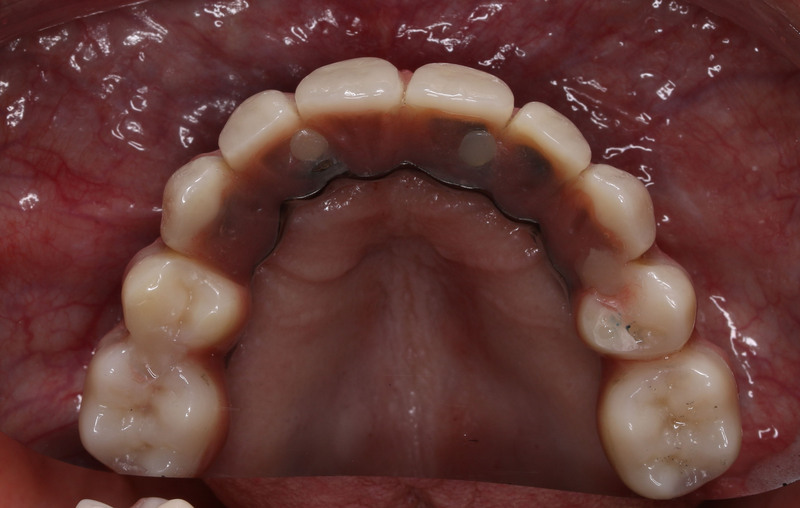 The bridges were failing as there were multiple areas of decay under the bridges. 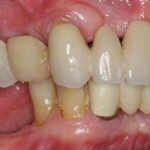 The patient had been advised by his own dentist that the bridges could not be replaced and the supporting teeth could not be restored. 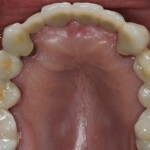 After a thorough examination we recommended that the dental bridges and their supporting teeth were removed. 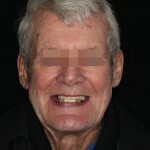 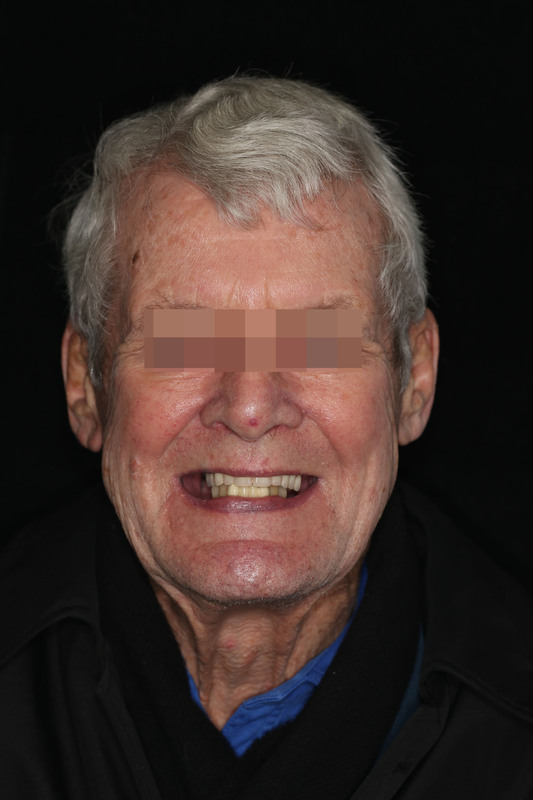 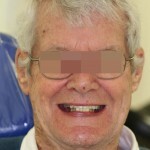 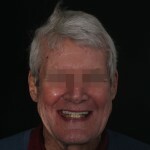 The patient wanted to avoid using a denture after the dental bridges and teeth were removed. 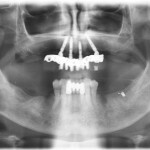 We explained that the surgery would be more complex due to the limited bone quantity following multiple extractions. 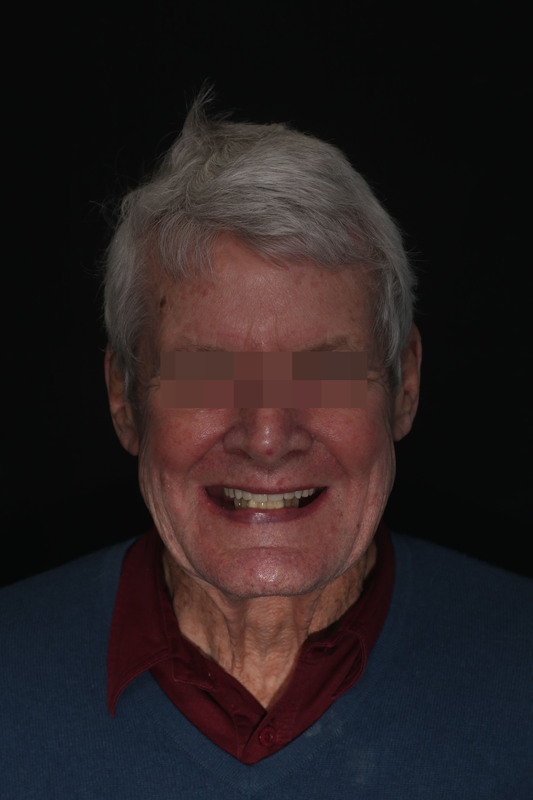 Despite this we attempted to place the implants at the same appointment in order to avoid the 4-6 month healing period with a full denture in place. 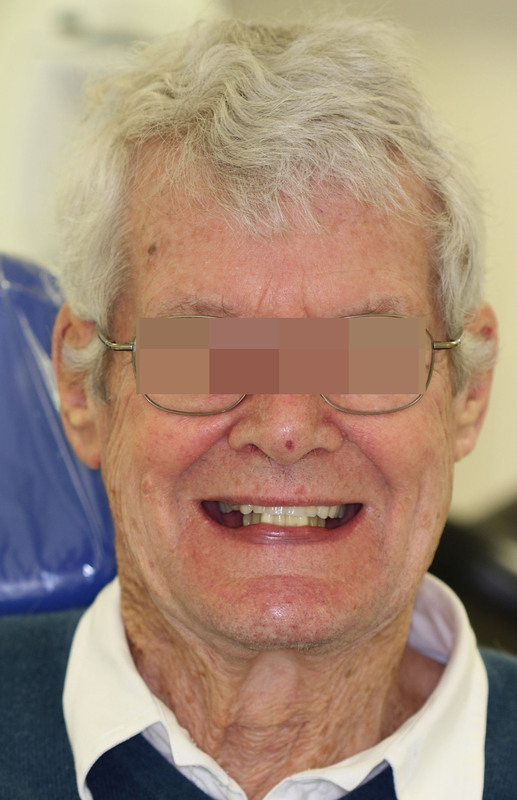 The surgery was carried out under sedation, the dental bridges, the supporting teeth and all infections were removed and thoroughly cleaned. 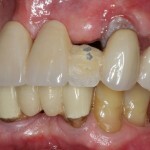 On the patients right side it was not possible to place an implant as there was such limited amounts of bone. 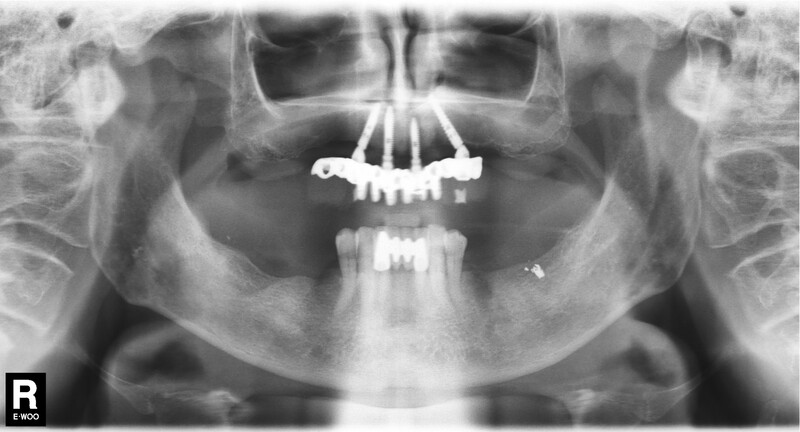 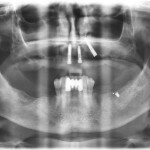 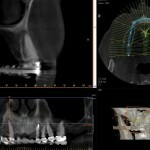 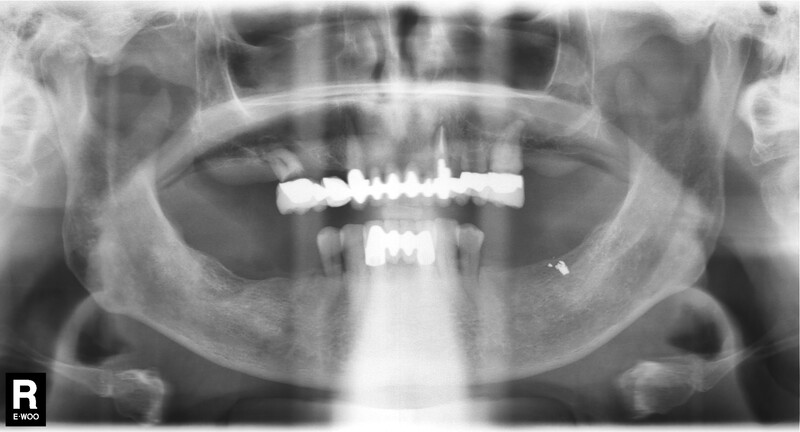 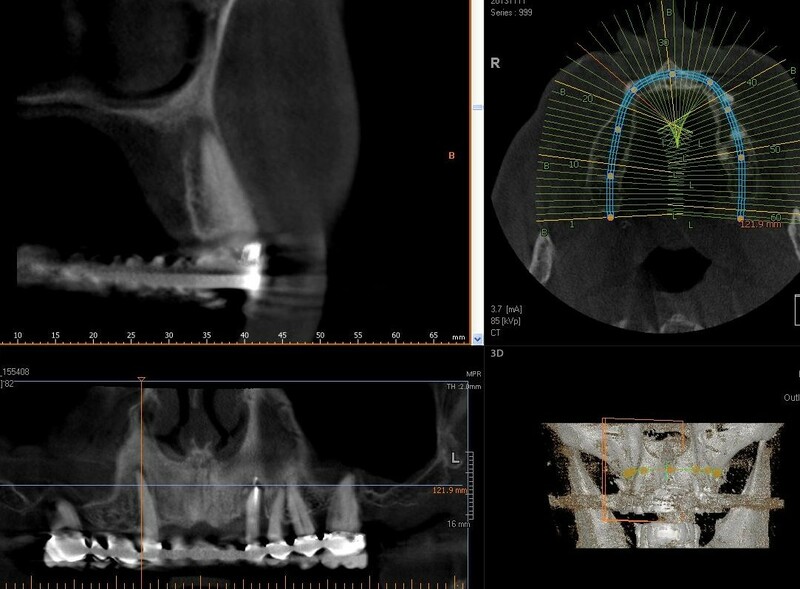 We did place three implants on the left side that were well positioned and anchored. 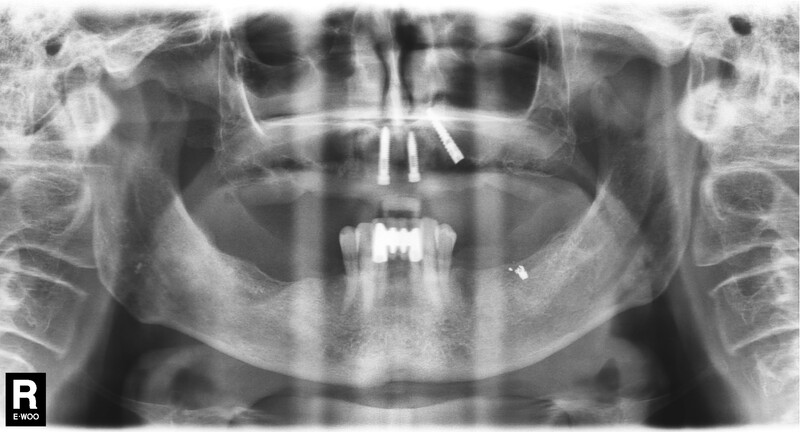 As we did not have the minimum requirement of 4 implants we were unable to provide the patient with a provisional fixed bridge solution on the day of the surgery. 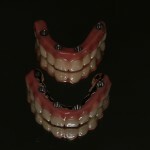 Instead we made a full upper removable acrylic denture which the patient had to use during the 4 month healing period. 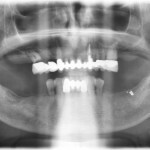 After 4 months we checked to see if the implants had integrated fully. 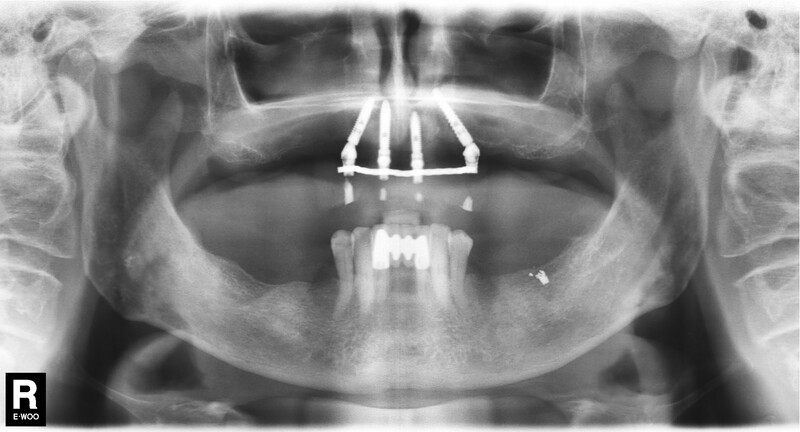 A provisional bridge was made and secured to the implants and the patient was able to move away from the removable denture. 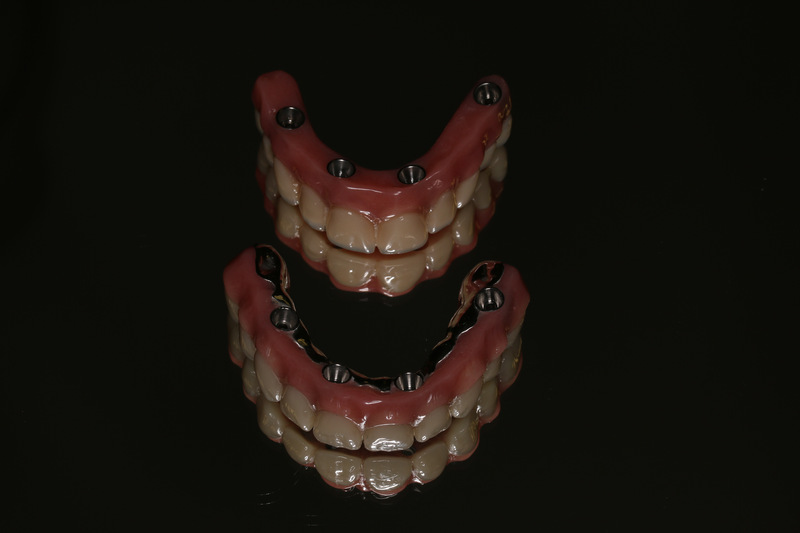 A fixed dental bridge is more comfortable when compared to removable dentures.